Do you hear the music calling? That’s the sound of the perfect cap to Spring Break weekend: Ultra Music Festival. Over 150,000 music fans from around the country will descend upon Miami’s Bayfront Park for the first major festival of the year and you don’t want to miss out on the chance to be there! With this crowd, in addition to the already crowded beaches, Miami become a hotbed for activity, excitement and fun. Most importantly there will be many, many eyeballs. The best way to turn heads and get those eyeballs to follow your brand? An Aerial Billboard. All the major EDM influencers will be there. Marshmello, The Chainsmokers, Axwell & Ingrosso, David Guetta, DJ Snake, Steve Aoki (just to name a few) and many other acts will perform throughout the weekend. With these historic acts, hundreds of thousands of fans will descend upon the Miami Beach area to participate in the event. An Aerial Billboard allows you to become a part of it and be associated with the event (at a fraction of the cost of a traditional sponsorship). The dancing may seem non-stop on the ground, but so are the distractions. 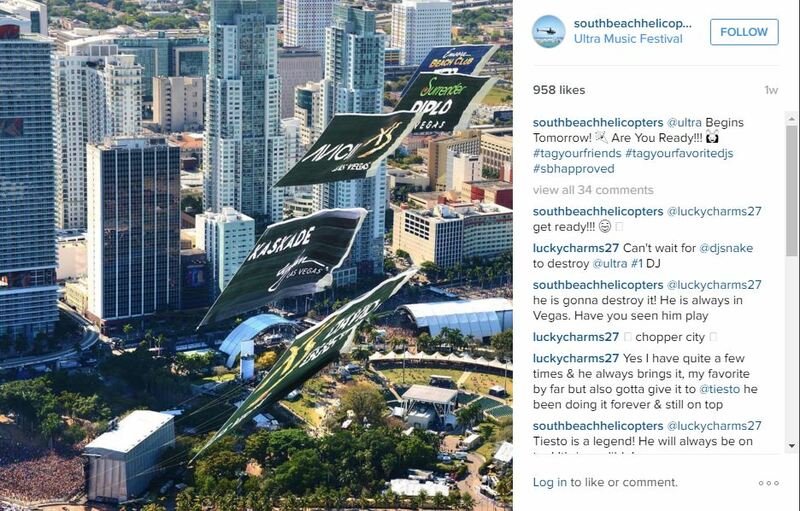 A massive Aerial Billboard flies above the mayhem and can allow your brand to become a part of the fun. 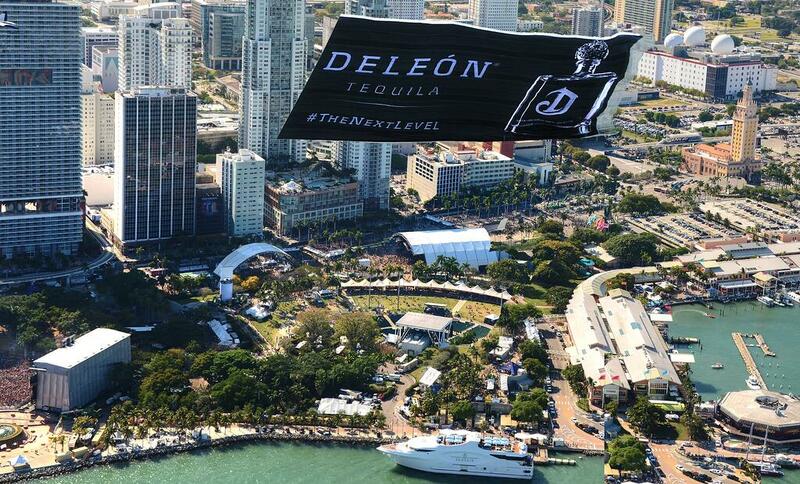 From when the dancing down between sets to when a parched fan goes to the bar for a drink, your brand could be seen over head with a Massive Aerial Billboard. Contact our Account Executives for a free quote on a customized campaign!